Bring warmth to every meal with our French cast iron and ceramics. You’ll flip for our easy-to-use Italian nonstick. Stock up on everyday essentials that include everything but the kitchen sink. Get dazzled by stainless steel cookware that cooks as good as it looks. With its black textured interior, the Staub 4-qt Round Cocotte guarantees a stellar sear for succulent braises. Go ahead—show off your Staub. This one-pot wonder also doubles as a stylish serving dish. 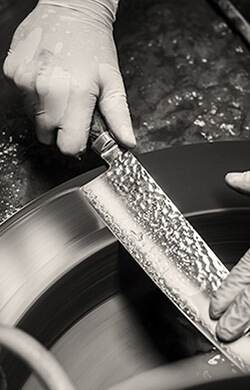 Did you know even the most professional knives require regular sharpening to keep their edge?